Everyone knows the importance of proper ventilation. Keeping clean airways creates a welcoming environment, reduces allergens, and benefits property owners by extending the lifespan of appliances. 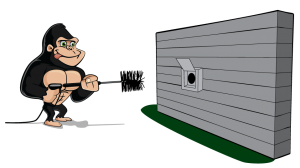 Don’t get caught in a tough spot when you can call a Gorilla for your Red Deer dryer vent cleaning service. There is always a friendly neighbourhood Gorilla nearby to help clean away clutter and keep your system running smoothly. There is never a good time to have debris collecting around your property but in a multi-unit property, routine maintenance is more important than ever. Instead of basic levels of buildup and debris in single-dwelling housing, multi-unit housing sees dozens of cycles every day. If even the smallest amount of lint or foreign material sneaks through with each load, it will add up quickly! These collections begin to line themselves along the inside of your ventilation system. Foundation layers of clutter begin small and layer over themselves, creating one huge problem. Restricted airflow means inefficient machines and repeat cycles. The more cycles that are done, the more lint there is to build up and the more cluttered the airway becomes. This cycle will continue and as it does, it will create health risks for tenants. Anything from fire hazards to allergens and poor air quality to mould. Don’t let debris have a negative impact on the condition of your multi-unit property or those that live there. Ditch the danger with a little help from our Red Deer dryer vent cleaning service. A proper Red Deer dryer vent cleaning involves removing debris not only from the visible sections of the ventilation system but getting deep into the system itself. Not taking a clear look into the depths of your vents, leaves unseen areas to become hotspots for clutter collection. A keen eye and specialized visual tools are used to track unseen problem areas. Only by assessing the severity of blockages can our Gorillas provide those expert results that we are known for. 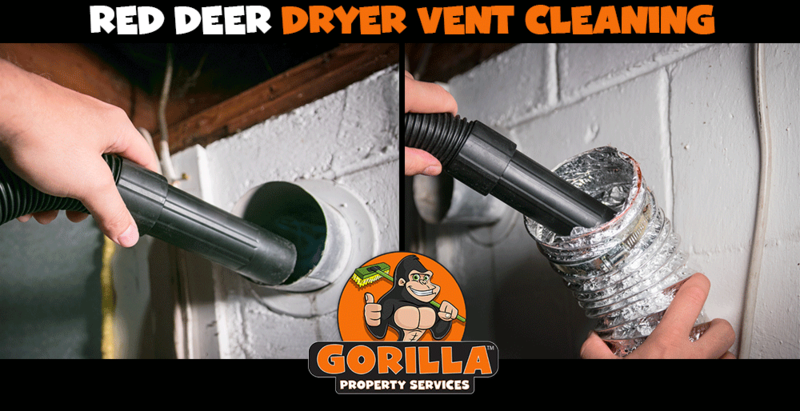 Building your Red Deer dryer vent cleaning as a multi-step process means a clean and passable ventilation system at every level.